The world is drowning in a flood of plastic. Eight million tons of plastic end up in the oceans every year. Agricultural soils are also threatened by plastic pollution. Farmers around the world apply enormous amounts of polyethylene (PE) mulch films onto soils to combat weeds, increase soil temperature and keep the soil moist, thereby increasing overall crop yields. After harvest, it is often impossible for farmers to re-collect whole films, particularly when they are only a few micrometers thin. Film debris then makes its way into the soil and accumulates in the soil over time, because PE does not biodegrade. Film residues in soils decrease soil fertility, interfere with water transport and diminish crop growth. 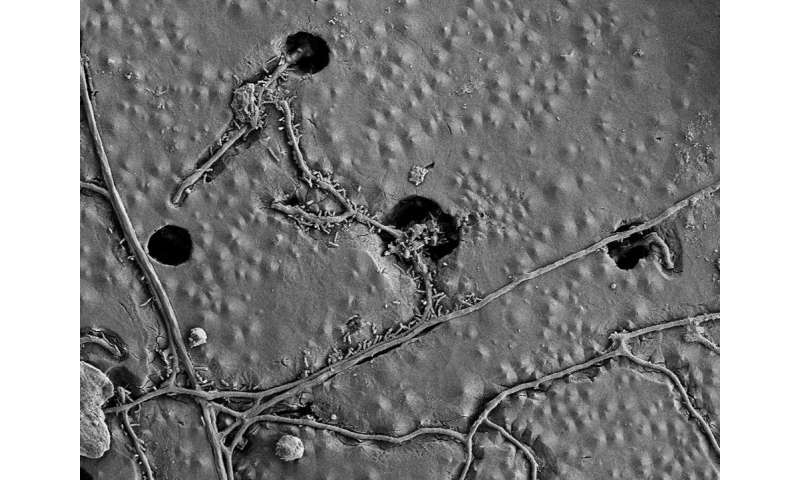 The researchers are the first to successfully demonstrate—with high scientific rigor—that a plastic material is effectively biodegraded in soils. Not all materials that were labelled "biodegradable" in the past really fulfilled the necessary criteria. 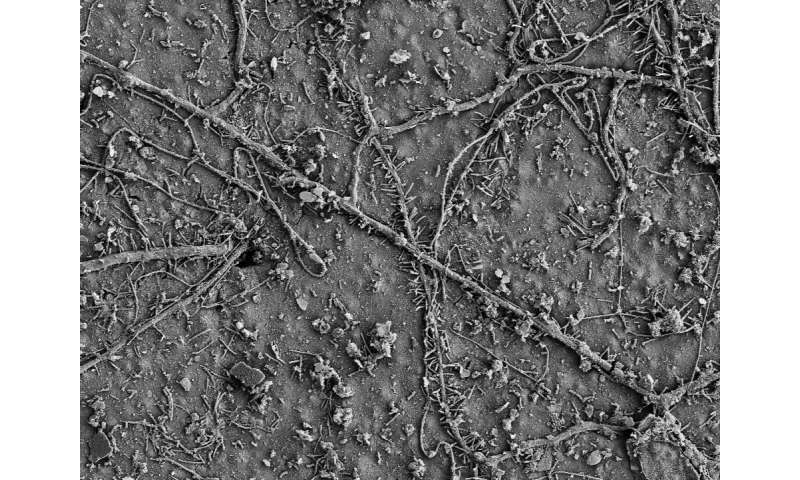 "By definition biodegradation demands that microbes metabolically use all carbon in the polymer chains for energy production and biomass formation—as we now demonstrated for PBAT," says Hans-Peter Kohler, environmental microbiologist at Eawag. The definition highlights that biodegradable plastics fundamentally differ from those that merely disintegrate into tiny plastic particles, for instance after exposure of the plastic to sunlight, but that do not mineralise. "Many plastic materials simply crumble into tiny fragments that persist in the environment as microplastics—even if this plastic is invisible to the naked eye," Kohler says.